The Centre's stand on formation of a tribunal on the Mahanadi river dispute has come in for strong criticism from the ruling BJD and Congress. 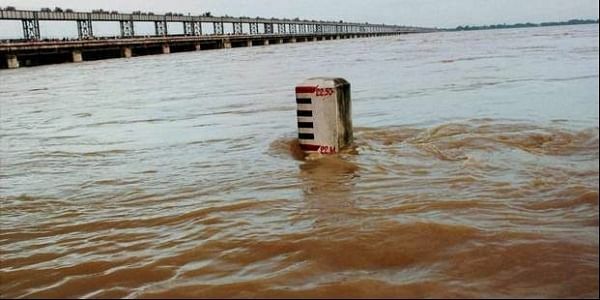 BHUBANESWAR: Centre's affidavit in the Supreme Court stating that a tribunal cannot be constituted on the Mahanadi river water dispute between Odisha and Chhattisgarh as the former failed to provide adequate facts has given rise to strong criticism as it contradicts the announcement made by it in parliament in this regard. concluded that the dispute cannot be resolved by negotiation and it has been decided to constitute a tribunal for adjudication of the dispute. Draft cabinet note in this regard has been prepared, he said. (CWC), Indian Meteorological Department and National Institute of Hydrology for settlement of the dispute through negotiation. The negotiation committee held two meetings on February 28 and May 22, 2017. The committee stated in its report that any further meetings of this would not be fruitful as there had been no participation from Odisha in both the meetings. "Accordingly, the ministry concluded that the dispute cannot be resolved by negotiation and it has been decided to constitute a tribunal for adjudication of the dispute," he said. The Centre's stand on formation of a tribunal has come in for strong criticism from the ruling BJD and Congress. tribunal is the only way to resolve the dispute. Government chief whip Amar Prasad Satpathy alleged that Centre has betrayed the people of Odisha by denying to form a tribunal. Meanwhile, announcement by Chhattisgarh government about launching of survey work for linking of Mahanadi with Piari river has sparked off strong protest from the ruling BJD and Congress.